"Because our history is gradually vanishing, there is a renewed sense of urgency in documenting the lives of those graphic designers who were so influential in the formation and maturation of the field in their respective cities. Hopefully, projects like these will help to create something greater than the sum of their individual parts, by providing answers to more widespread historical questions: how, for example, did modern graphic design spread (from East and West) across the central United States? Such answers contribute significantly to a more substantial picture of graphic design history, by focusing long-overdue attention on those so-called local practitioners — people whose work helped pave the way for all of us. This is not necessarily about writing History with a capital "H," but about identifying an alternative history — a history from below." We are embracing this challenge with a new series of essays and slideshows titled, Unusual Suspects. It is our goal to add a critical human dimension to design's rich cultural heritage in the United States. (Clearly, there is equally important historical work to do in other countries, and across cultures, but Unusual Suspects is focused on U.S. design history.) Edited by Andrew Blauvelt and William Drenttel, this new series begins today with an essay by Bill Moran on the Hamilton Wood Type and Printing Museum in Wisconsin. In coming weeks, we will publish new essays on Gene and Jackie Lacy of Indianapolis (by Amelia Lacy) and Peter Seitz of Minneapolis (by Kolean Pitner). This project is supported by Winterhouse Institute and AIGA (which will also publish the essays on its site as a part of its commitment to supporting design history). 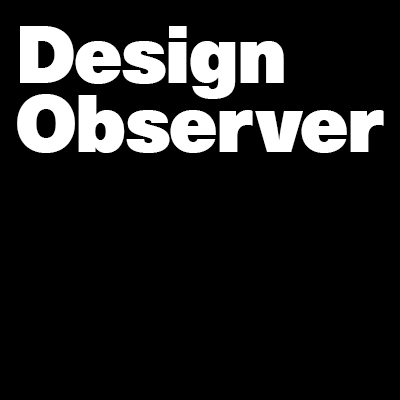 Design Observer is open to editorial submissions to continue this series. 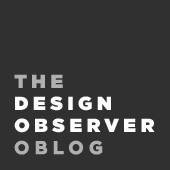 Please write to designobserver@winterhouse.com and clearly identify your project as for Unusual Suspects. Getting Something Done in D.C.
Photo of President Lyndon Johnson signing Voting Rights Act in presence of Martin Luther KIng, Jr.